If you are working on a tight budget but are still looking for a professional removal service that is cost effective, reliable and fully insured then you are on the right webpage. At Kitson’s Transport we have put together a number of removal packages designed to cater for our customers varying requirements. We are well aware that no two jobs are ever exactly the same which is why we don’t have a fixed pricing structure. Each quote we provide is specific to the customers requests. Have just an odd item and are looking for the cheapest possible price? We can send just a driver and provide you with an option to save on labour costs by providing assistance with loading the item onto the van and delivering it to your required location. The variations of jobs, locations and people we come across on a day to day basis are endless but the one constant is the quality of service we strive to provide. We will never request payment until you are completely satisfied with the job we have done. All of our removal teams are fully experienced in all aspects of removals and are all fully insured with ‘goods in transit’ insurance and full ‘public liability insurance’. Our personnel are fully uniformed, courteous at all times and will go that one step further to make sure that all your needs are met to ensure a no hassle stress free move. Please find below examples of the various types of removal and delivery packages we offer. This is by no means a comprehensive list and we would always ask that you give us a call to discuss your own individual requirements. Full Removal Service Manchester – This type of removal will take all the stress and hassle out of your removal for you. With this service you will get two fully uniformed and trained removal personnel who will take care of everything for you. They will be there to do all the lifting and carrying for you they will put protective covers over your suite and beds and fully cover all of your other furniture and pack them securely in the van. They will then deliver all of your furniture to your new home and will position your furniture in the specified room. All that we ask before we arrive is that all of your personal effects are all packed away (except the kettle!) in good strong boxes and that any furniture that needs disassembling is already done and ready to go, if you require us to dismantle and erect any items please let us know on booking. We do also require that your washer, cooker and fridge are disconnected as well. If this is not possible please let us know before we arrive so that we can allot more time to do these jobs for you. Only once the job is complete and finished will we then request payment. One or Two Men Single Item Removals Manchester – For this service we will supply one or two men when needed to deliver items such as beds, washers, robes, suites, garden furniture upright pianos basically any small or large, singular or multiple items from the specified destination to anywhere in the UK. All items delivered will be handled with the upmost care and with due attention given to detail so that you are completely satisfied with the job we have done for you. We will install and position all furniture into each requested room if possible and our personnel will be very courteous and listen to any specific requests that you may have. We will also pick up shop or warehouse deliveries and deliver to all areas in the UK. When the job is done and you are happy with our service we will only then ask for payment. Single item furniture removals or full house furniture removals available. Disassembly provided as part of the service for large furniture items. The clearances team at Kitsons Transport have over 30 years experience in clearing everything from sheds, storage units, full houses to business premises. 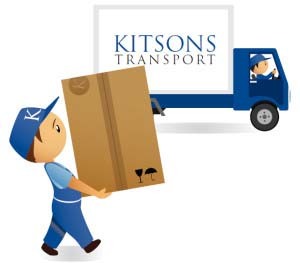 Kitsons Transport provide a variety of professional man and van packages suitable for those removals where all or most of the labour is to be provided by yourself. Professional piano removals, storage, transport and disposals available from as little as £80 in the Manchester area. Our piano removals team are highly experienced in transporting all types of pianos big and small! Kitsons Transport Ltd removals team are highly experienced in removing and transporting all types of heavy or awkward items and pool tables are no different. Whether domestic or commercial we can cover your pool table relocation requirements. 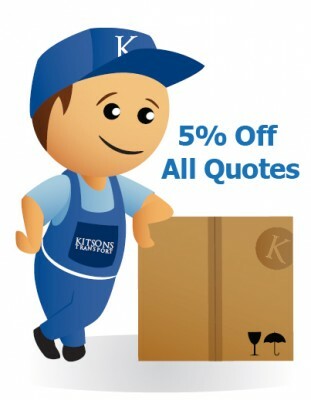 From only £5 a week Kitsons Transport can provide a secure storage space with CCTV protection for added peace of mind! Are you a commercial customer? Check out the service Kitsons Transport Ltd provide to businesses in Manchester and the surrounding areas. We take genuine pride in the service we offer and constantly strive to ensure we provide you with the best possible service. If you are happy with what we have done for you the biggest compliment you can give us is to pass on our company name to your friends and family so that they may wish to use us in the future. This is better and more beneficial to us than any magazine or newspaper advert could ever be. Kitsons Transport offer a 7 day business week therefore we are able to provide all of our removal services to Manchester and the surrounding areas on both Saturdays and Sundays. Book a weekday or weekend house removal with Kitsons Transport Ltd today.